Just saw this and like to share with you. 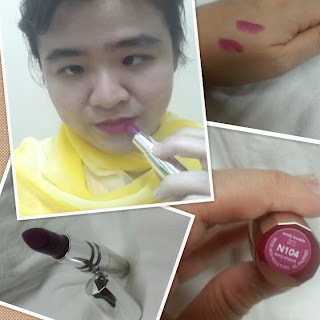 Do you own any Avon Totally Kissable lipstick? Which is your favourite? 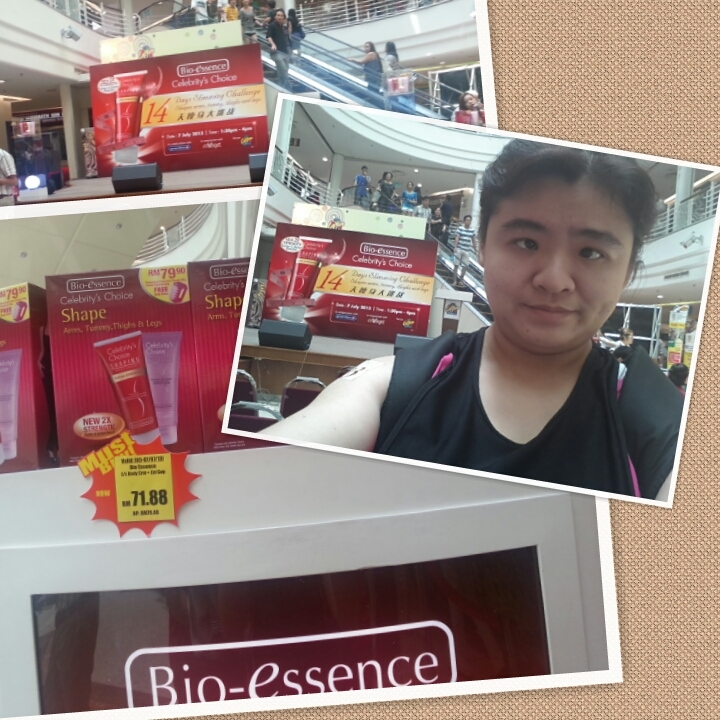 Yesterday morning I head to London Weight Management outlet which is located at Empire Gallery Subang Jaya. My appointment supposed be 10am or 10.30 but when I reached there, they only open at 11am. Anyway I waited them to open so I walk around the mall for a while. There are three hours of Complimentary London Slimming Treatment for me. Yes, so how is it three hours? Let's say I get half hour of consultation and then half hour of measurement and talk with another consultant. They are three girls that attended me, they are not with me at the same time. Each of them have their job, I mean like one is fill up form and check with your health info to fill the card. The other girl in charge for applied lavender sea salt then wrap the hot blanket. Last girl will be in charge of machine. First thing is I get weight detail of my weight and height. 10 min of Steam room, I love it! 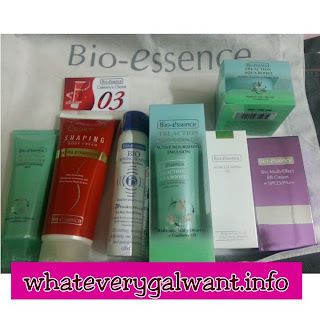 After this then head for shower just water because next will be the lavender sea scrub and hot blanket. 20 min of Hot blanket, loves it too, so many water coming out from me. After this head to shower, then get tight by the machine on waist, belly, and thigh. Before heading for the machine, get weight, then only measurement on body. 45 min on this machine, yeah couldn't move much there will be sound beep if you move too much! Then she will comes in and reset or set it again?! After this gets the measurement on body. Total lost of overall my body 8.4cm. I finished the 3 hours treatment and out of the outlet 2.15pm. 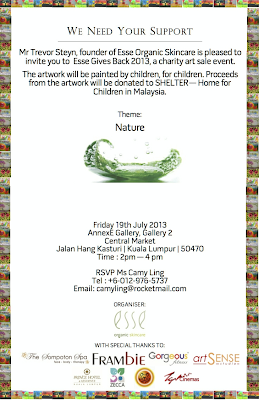 Esse Gives Back is a one day "Nature" themed charity art sale event. 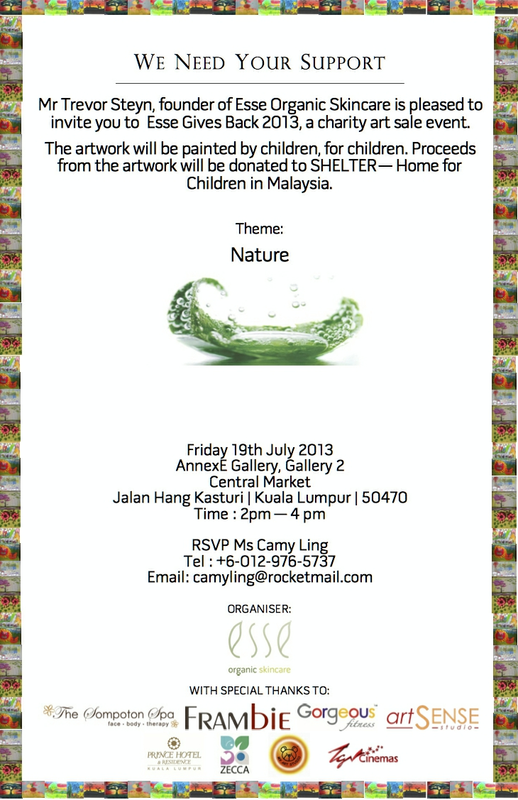 The event encourages children all over the world to participate by creating an artwork about nature. These amazing young artists, ages from 3 to 16 years old, painted their love for nature into these artworks. The artworks are submitted from as far away as USA and South Africa, to Hong Kong, China, Australia, Singapore and also from Malaysia. All the artworks are painted by children, for children. The proceeds from sales of the artwork will be donated to SHELTER – Home for Children in Malaysia. SHELTER is a registered welfare organization in Malaysia that has been in existence since 1981 to help abused, abandoned, neglected or at-risk children. They provide care and education to them and raise public awareness on issues such child abuse and child protection. Please feel free to extend the invitation to your esteemed organization to support us by distributing out this invitation to all your corporate or VIPs members, those are keen to do charity and participating for this meaningful event. Also, you may view the 100 paintings and purchase them online prior to the event day or just attend the auction at 4pm on 19 July, at Annexe Gallery. 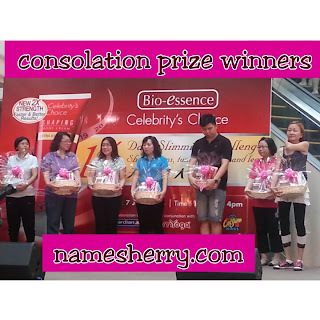 Bio-essence Celebrity's Choice 14 Days Slimming Challenge winners! I am sure you remembered that I took part in the 14 Days of Bio-essence Celebrity's Choice 14 Days Slimming Challenge! Now just for your info, I am not one of the winners but I feel like a winner being able to join this challenge! 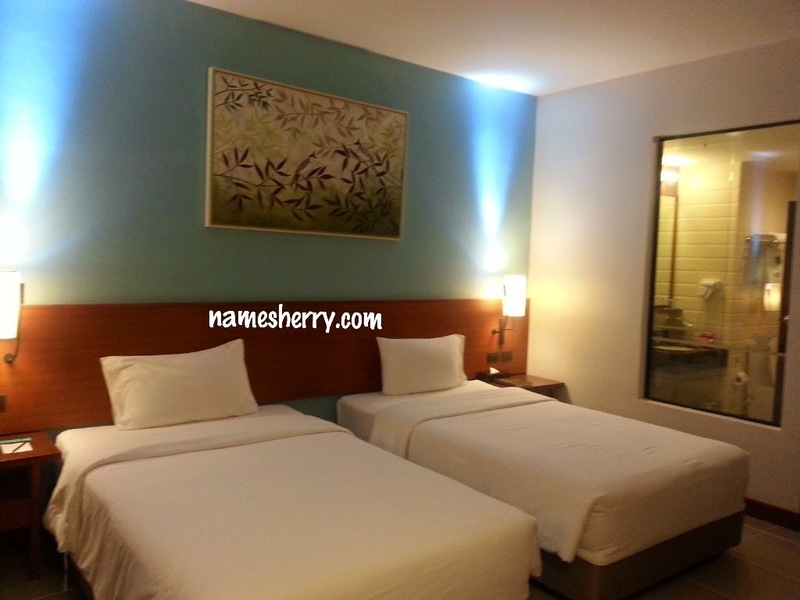 My dear send me there before he head to destination near KLCC. It is very jam in the afternoon I reached about 1pm but stuck in the near Cheras Leisure Mall. The jam took like 20 mins! The emcee announced the winners of 7 consolations who loses at least 6 inches to 7 inches ++. The Grand Prize, 2nd and 3rd Prize loses even more! I didn't win any prizes but I am happy with other 49 participants to walk home with goodies below. 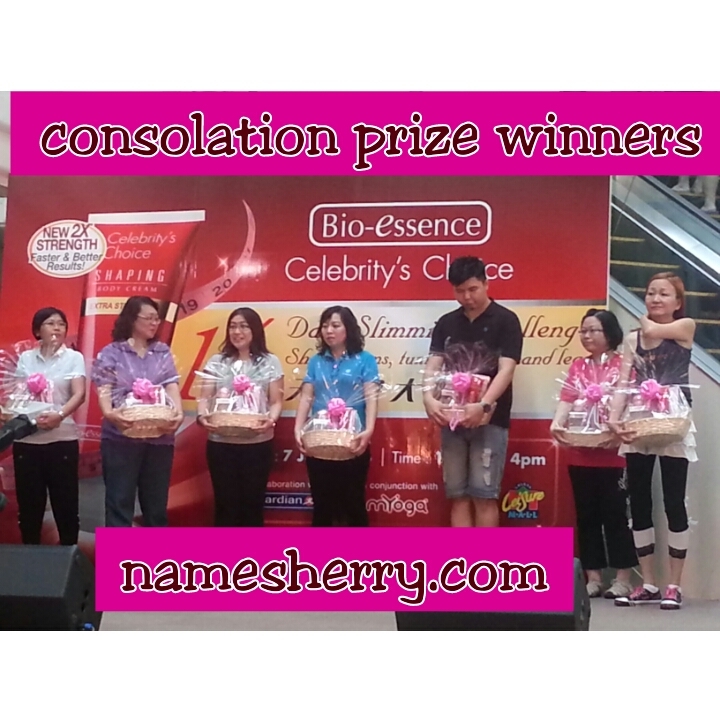 Yeah for the winners they get double goodies, not just hampers but the goodie bag too! I shared my goodie with my loved one. Once again, Congrats to winners. Don't give up as you still stand a chance to win the Monsters University Fun Book, it is not just any fun book because it's one of the fun book from Safety Rangers of Sunway Pyramid! Click on the link to find out. 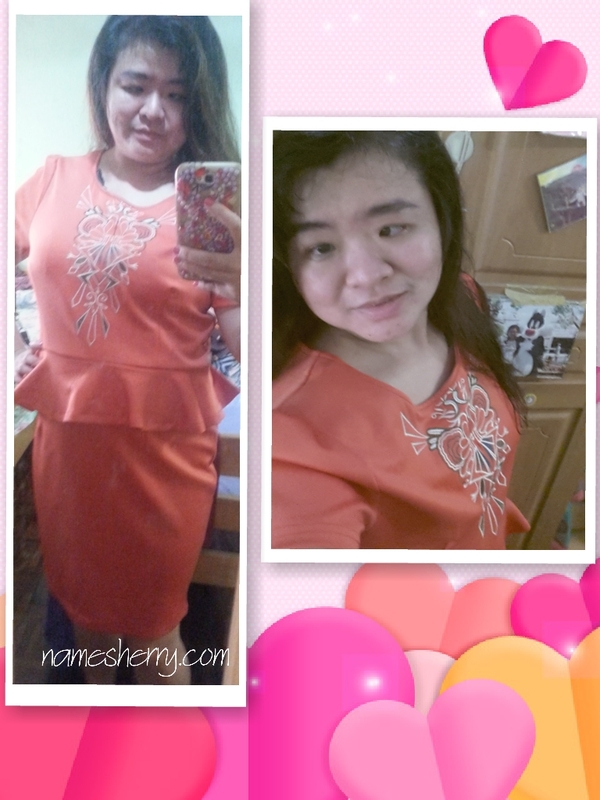 Now I am thinking how to go Seri Petaling from Subang Jaya, I don't have GPS so I can't drive there. Say does anyone know what bus from SJ to Kelana Jaya LRT Station?